If you have been homeschooling for any length of time, you likely have amassed a pile of digital resources. This could be homeschool curriculum, websites and login information, online classes or tutorials or a vast number of other things. I know in the beginning of my homeschool journey, I purchased a lot of digital curriculum, because I knew I could just print it out again for the next child when needed. I wish I had realized then that my lack of organization would mean I would end up losing a lot of that purchased curriculum. 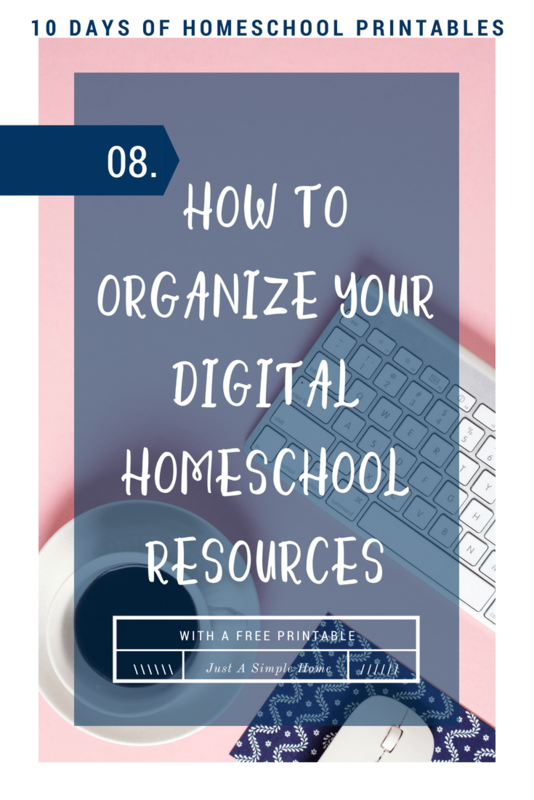 I created a printable for you, of course, so you can easily keep track of the digital resources you use in your homeschool. I keep track of the title of the resource, the subject it is meant to teach, and the grade level or span it is used for. Then I write down where I got the resource from (website etc) in case I need to ask questions or reach out to the author. 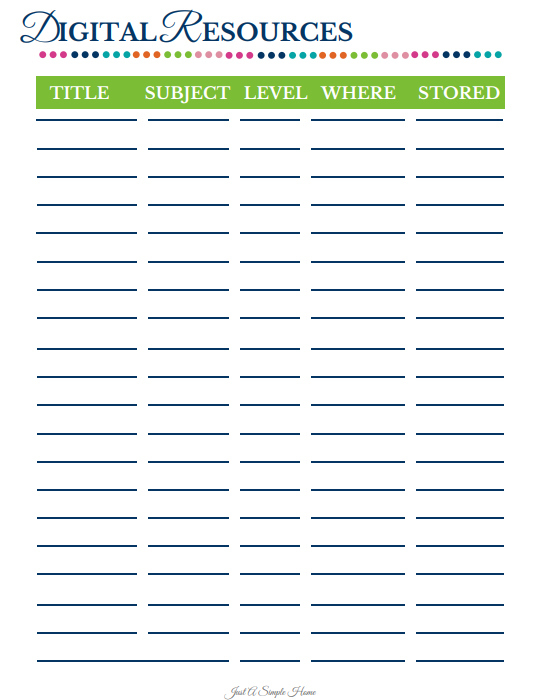 And I keep track of where I store the curriculum. Sometimes this will be in a folder on my computer, or Google Drive, or in a labeled box in our school room. This enables me to easily pull it out or print it when I need it. You can get your Digital Resource below. As always, you can print as many of these as you need to. You may want to print one out per student, or use one per year. I always say to keep things simple. The easiest way of recording your records is usually the best way. Don’t over-complicate. This printable is included in the Simplified Homeschool Planner. 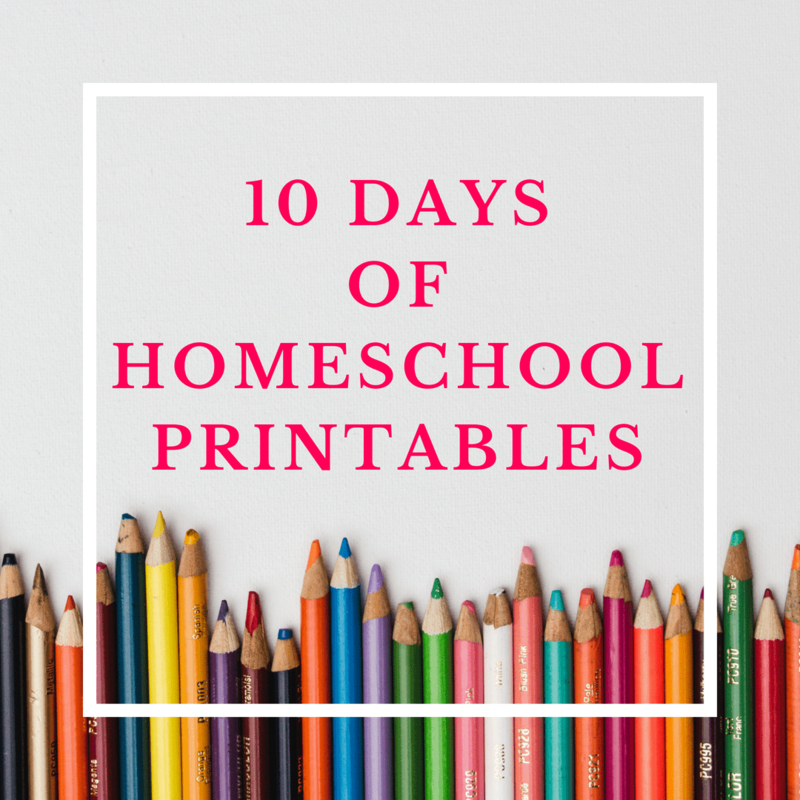 This post is part of our 10 Days of Homeschool Printables. Click the button below to get all your free printables!